This month Wilmington’s event calendar is full of fantastic evenings full of fun. 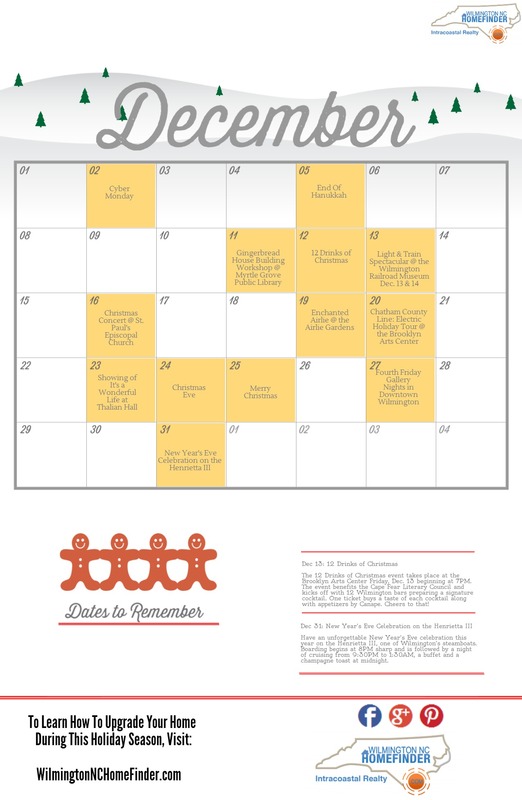 Check out our picks in the calendar below for full details about the best December has to offer. Enjoy! Please include attribution to www.wilmingtonnchomefinder.com with this graphic.